In today’s video we’re going to show you the correct technique for driving forehand volleys. When your team is up at the net, that’s where you want to stay and if the other team is at the baseline then you want to keep them back there. 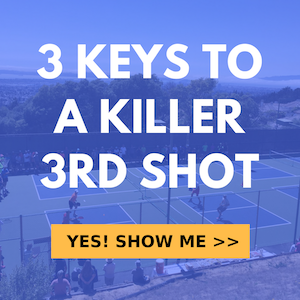 You can do that by keeping your volleys deep and making it very hard for them to hit an effective 3rd shot drop. The longer you keep them back the higher your chances of winning the point.